The isolated Kaliningrad Region depends on European imports more than other parts of Russia. Since Moscow’s imposition of a food embargo on the European Union, EU produce has been replaced by imports from the Balkans, South America and Belarus. Residents are happy that store shelves are not empty but express concern over rising prices. Lying between Poland and Lithuania, Russia’s exclave on the shores of the Baltic Sea, the Kaliningrad Region, is far more dependent on European imports than the rest of Russia. According to official data, goods that fall under the Russian sanctions amount to around 16 percent of the total imports into the Kaliningrad Region. Officials in the regional government told RBTH that all these products can be replaced by Kaliningrad manufacturers and suppliers from countries that are not targeted by the embargo. In particular, 10 days after the introduction of the prohibition, the exclave has been supplied with apples and tomatoes from Serbia and grapes from Malaysia, said Svetlana Kumaneva, first deputy head of the Kaliningrad Region customs house. She added that agreements have been signed with suppliers from Belarus, Turkey, Israel and South American countries. The offending list includes cheeses, of which few are produced in the region, and several types of fruit and vegetables that had been supplied largely by Poland and Lithuania. According to Nikolai Tsukanov, the head of Russia’s westernmost region, the developing situation resulted from a systemic error. “We have always been vulnerable to food security as an exclave region. Retail chains have long needed to not be beholden to Polish and Lithuanian supplies, but to build our own storage locations to hold reserves of vegetables and fruit,” Tsukanov said on August 21 at a meeting with leaders of retail chains and markets. According to the managers of Semya, a Kaliningrad group of retail chains, the retailer is already building a large stockpile. The Fito-Depo group of companies, which supplies the region with potatoes, vegetables and fruit, has also announced similar plans. Experts say that another issue is related to the fact that customs and supervisory bodies have tightened requirements for documentation to import vegetables and fruits; consequently, some cargo has been held up abroad. For example, between August 19 and 22, six vans with perishable products for the Vester store chain were stopped at the INMAR temporary storage repository. “New suppliers from Turkey, Macedonia, Serbia, Belarus and Israel, unlike the former contractors from the EU, are refusing to work without 100 percent prepayment,” said Oleg Bolychev, chair of the board of directors of the Vester group. Therefore, he said, it is possible that stores will see a temporary shortage of apples, pears, grapes, peaches, apricots, nectarines, pineapples, berries and exotic fruits. 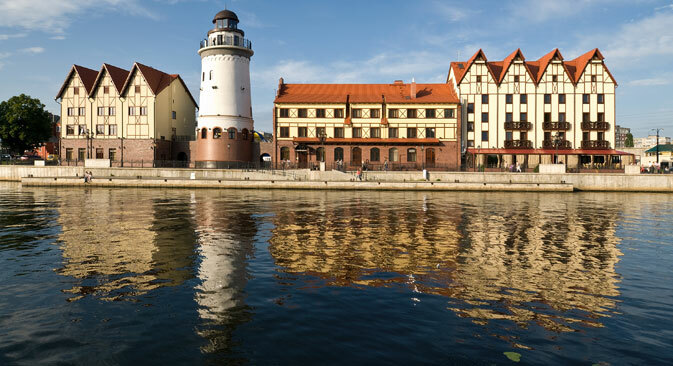 An uncertain situation has developed among Kaliningrad producers who previously used European raw produce. According to Bolychev, a number of suppliers have already raised retail prices. In particular, since August 25, prices for the Russian company Morozko’s pre-packed frozen meat products have jumped by 5 percent, and prices on Russky Khleb’s baked goods with cheese and dried fruit have gone up by 9 percent. Local residents have noted that over the course of a few days, stone fruits disappeared completely from chain stores: The apricots, peaches and nectarines that disappeared were subsequently replaced by Macedonian peaches. Instead of Polish fruit, Serbian fruit arrived, but a kilogram of apples now costs double. Incidentally, in mid-August 2014, the Kaliningrad Region Union of Cooperative Societies started buying Kaliningrad apples from the population and farmers. “Only new prices on lemons have been disrupted. My wife always used to make lemonade herself, but now I’ll think twice before buying lemons,” said Alexei Melkov, a 55-year-old resident of Kaliningrad. “Overall, nothing else has changed for our family. Apples grow at the summer house, we’ve always gotten and continue to get meat from farmers at the market, and instead of Polish cheeses we’ve started to buy Kaliningrad cheeses,” he said. The local authorities hope that the ban on imports will stimulate the development of vegetable and fruit cultivation and livestock breeding in the region. Meanwhile, residents of the Russian exclave hope that producers, suppliers and sellers will not unjustifiably raise prices on foodstuffs. In mid-August, Polish and Lithuanian media reported on a complete deficit of foodstuffs in Russia, especially in the Kaliningrad Region. However, according to sources such as the Lithuanian newspaper Klaipėda, the hopes of retailers in Lithuania’s border regions for an influx of “hungry Kaliningraders” have not materialized. The newspaper reported that lines at the Sovetsk-Panemune border post have not grown any longer over the last two weeks.